The Native Hawaiian Education Association needed a way to promote their bi-annual educational conference. They also needed functionality to capture registrants, payments, proposed presenters and provide general information about the agenda and workshops provided at the conference. 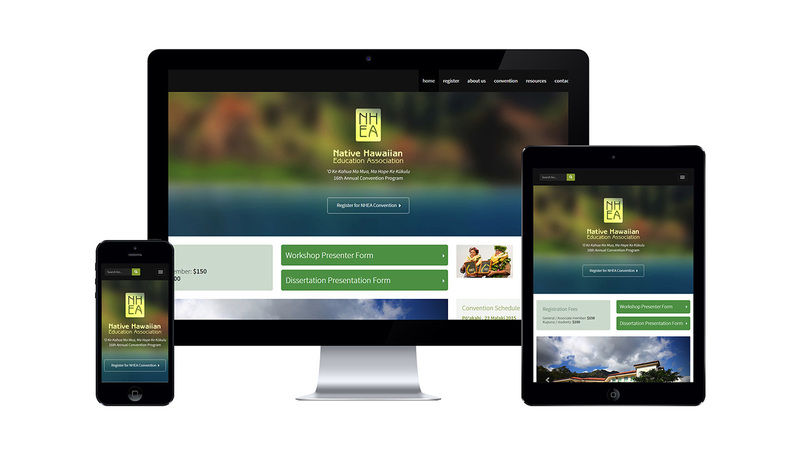 We built a functional and mobile responsive web design that would capture registrants, workshop proposals, accept payments and allow the client to manage users with a custom-built functional backed system. The website development team made sure that the programming of the back-end system was rock solid. The front-end web design team ensured that the user experience design was easy and simple to navigate and use. 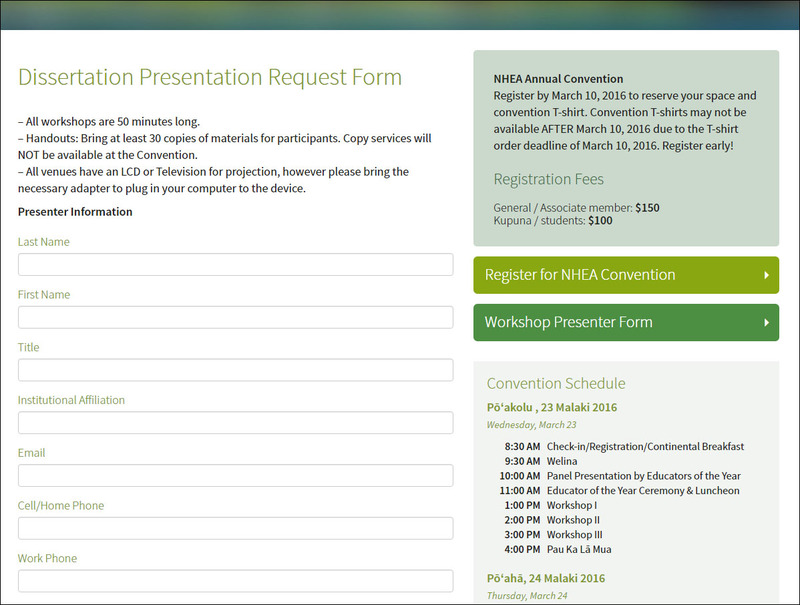 NHEA has been successfully using the system for multiple conferences to manage registrants and workshops. They system allows the client to manage content and users with automated, batch emailing and reminder systems through an easy-to-use interface. The conferences that NHEA have sponsored have exceeded capacity and the system has greatly reduced operational costs of management.